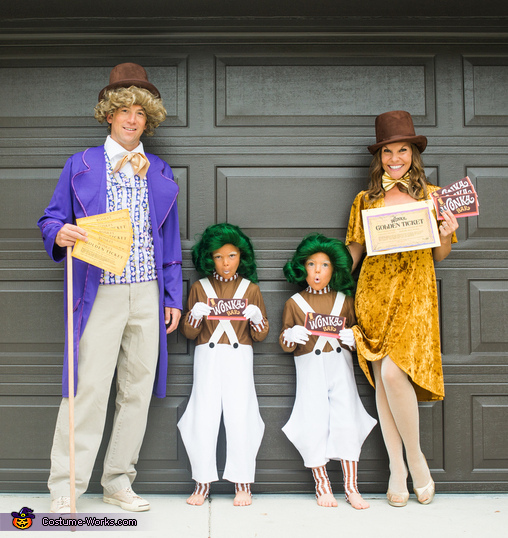 We dress up as a family every year and this year the kids were really into the original movie of Willy Wonka and the Chocolate Factory. Dad was on board to dress up as Willy Wonka and the kiddos were so excited to be Oompa Loopmas. Mom decided to go as the Golden Ticket and everyone had a blast! I love Willy Wonka and the chocolate factory. Love the costume.